Everything You Need to Know About Irrigation Winterization | Crowley Landscape Management, Inc.
As winter approaches, we begin to change our priorities, especially when it comes to our yards and gardens. Cooler temperatures typically indicate the time for the final harvests of the year, essentially abandoning the garden until the spring. While you want to double-check your irrigation systems at the outset of the autumn, it’s never too early to winterize. 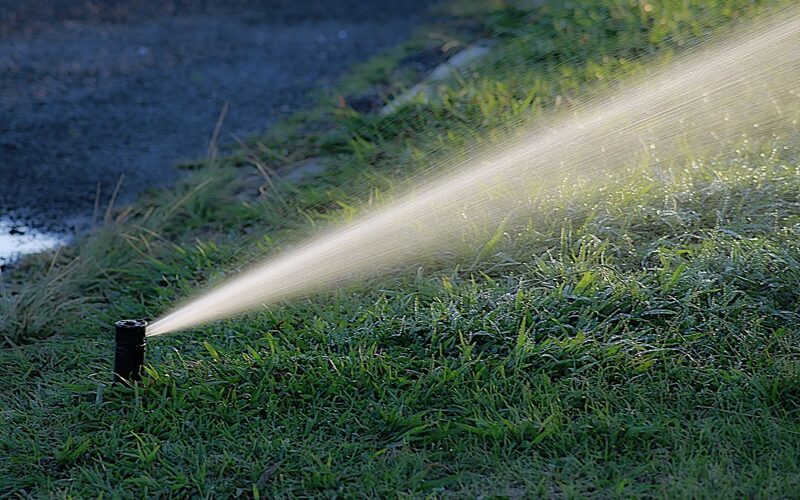 Winterizing is the act of ‘blowing out’ the water from your irrigation system. If you can winterize when you first install the system, you will be ahead of the game. In fact, you can make irrigation winterization a part of your Labor Day weekend activities. Do the whole house, but don’t neglect the garden: exterior spigots should be checked and wrapped – they’re just as important as the underground and interior pipes. The standing water in your irrigation system is perhaps the biggest threat when it comes to winter freezes. Though you might rely on pliable hoses, when water freezes and thaws in the hoses, their integrity is compromised and could potentially break. If you use copper piping, this winterization process is absolutely necessary to ensure the long-term life of your irrigation system. In other regions of the country, where the temperatures are consistently below freezing, ‘blowing out’ the system is necessary. Here in the Portland Metro area, irrigation winterization includes turning off the water, opening any drains and letting the water drain out of the system. Because the temperatures don’t typically drop below freezing, blowing out one’s irrigation system is not needed. The other two ways to winterize your irrigation system are the manual and automatic drain valve methods. However, these methods are not suitable for many, if not most, systems. For that reason, it’s best to contact an irrigation specialist who will know the best method for your system. Naturally, you want to make sure the hardscape in your lawn is taken care of. This includes winterizing your irrigation system. It’s also a good idea to take stock of your other outdoor pieces, including furniture, statues and even bird baths. Make sure they are made of materials that can withstand long periods of rain, as well as freezing temperatures. Here in the Pacific Northwest, our relationship to grass is rather upside down to the rest of the country. When the rains return, so does the grass. You might want to aerate your lawn and fertilize the grass with an organic fertilizer. You will also want to assess which plants are most vulnerable to low temperatures. If your garden is composed primarily of native plants, you probably don’t have much to worry about. However, non-native species will need to be looked after when temps dip. When you are in the preparation stages, surround each plant’s base with a healthy layer of mulch. The layer of soil will protect the root system from the cold, but it will also leech needed nutrients and help maintain healthy plants. Winterizing your yard and property can be a laborious task, especially if you’ve never done it before. Crowley Landscape Management installs and maintains gardens for residential and commercial properties. Give us a call and we will design a landscape, including a green makeover for your home or commercial property. We can also winterize your garden to ensure it enjoys a long life. For a free estimate, give us a call, (503) 682-3090, or through our website.